This week we are featuring the first official footage from Blackmagic Design's Pocket Cinema Camera 4K, ARRI's latest firmware update, SUP 3.0 for their Alexa LF Camera and new announcement from Atomos that the Ninja V and Inferno are now supporting 4K 10bit N-Log via HDMI from the new Nikon Z mirrorless cameras. 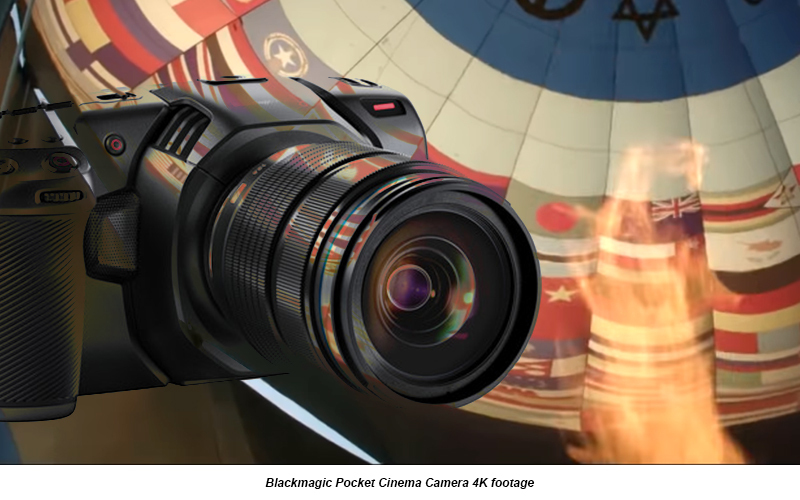 Blackmagic Design just released the first official footage from their upcoming and highly anticipated Pocket Cinema Camera 4K. The four official clips show off the camera’s impressive dynamic range, rich detail and pleasing skin tone rendition. Equipped with a four thirds sensor, dual native sensitivity and a large touch screen, the new Pocket Cinema Camera 4K has been radically redesigned to harness the increased performance and improve ergonomics. With the ability to record 4K Raw and ProRes internally, the Pocket Cinema Camera 4K has a huge potential to be a big hit among indie filmmakers and we expect shipments to start very soon. ARRI have just released SUP 3.0 firmware update for their Alexa LF camera. The new firmware adds support for the new ALEXA EVF-2 electronic viewfinder, which is equipped with a new 1080p display with higher contrast, improving the operator's ability to judge focus and dynamic range. SUP 3.0 also adds support for the new SxS PRO+ 256 GB cards for ProRes recording as well as the new Bebop V-mount and Gold-mount battery adapters. The new firmware is free of charge; however installation on existing LF cameras will be done only at ARRI Service Center as the new firmware requires the installation of a new board. New Alexa LF cameras shipping after SUP 3.0 will have the firmware pre-installed. 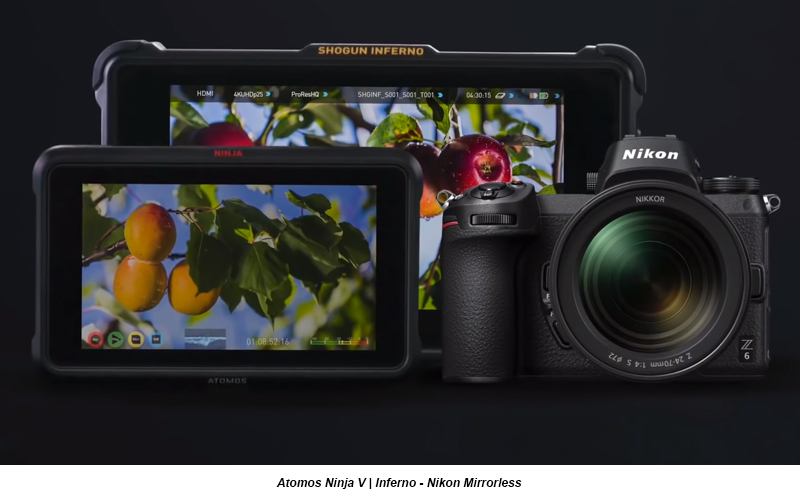 Atomos announced their Ninja V and Inferno recorders are now supporting 4K 10bit N-Log via HDMI from the new Nikon Z7 and Z6 mirrorless cameras. The Atomos Ninja V and Inferno are able to record broadcast ready 10bit ProRes or DNx from Nikon Z cameras and also properly display the HDR signal thanks to the incredible AtomHDR allowing users to comfortably monitor the N-Log signal to ensure they are capturing the maximum dynamic range and potential from their cameras. The Atomos Ninja V is expected to start shipping in the next couple of weeks.